Elon Musk announced the Tesla Semi months ago, now. Besides the low cost, one of the things people are most incredulous about are the Megacharger costs. Tesla announced just 7 cents per kWh, flat price, to charge at a Megacharger. And that’d be done with solar power, potentially even unhooked from the grid. How is this feasible? First we must look at existing Tesla Superchargers. Superchargers are capable of up to 145kWh charge rates (internally). Some versions were made by simply ganging up multiple home charger units together to get the required power (like 12 individual 12kW units). The high power was produced by clustering mass-produced smaller units that also are provided with each car. Just a single connector goes to each car, however. …and in principle, Tesla could also optimize when the Powerpacks are charged to minimize time-of-day charges. That gives Tesla access to sub-7-cents-per-kWh electricity prices already. Industrial electricity prices are around 5 to 8 cents per kWh on average in the US (exception is Northeast, with about 9-12 cents per kWh), with off-peak electricity being about 2 or 4 cents per kWh less. But if you already are using battery packs for peak power reduction and maybe even time of day shifting, then the idea must occur to you: why not get rid of the utility entirely? Solar cells are currently as low as 16 cents per Watt on the spot market (average 17.5 cents), without federal subsidies: http://pvinsights.com/. That means 16 cents of cells produces 16 cents of electricity (at 7 cents per kWh) in a SINGLE year in a place like the American Southwest that has a capacity factor of about 26% or better, paying back the cost of the cells. Modules are more, obviously, but still cheap at 27 cents per Watt. If Tesla can automate installation, they may be able to install them and string them together for less than 40 or 50 cents per Watt. That doesn’t pay for a connection to the grid or the inverter. Because Tesla doesn’t need those. In fact, the batteries already contain a DC-DC converter. Careful selection of voltages could allow a nearly direct connection of the solar panels to the batteries, perhaps with a small and cheap “power optimizer” (i.e. DC-DC converter) to improve solar array efficiency. These things only cost a few cents per Watt at utility scale, so let’s call it an even 50 cents per Watt. But Tesla can avoid the grid connection at both the solar array side AND the Supercharger side. And can avoid the cost of the inverters and the inefficiencies/losses from converting to and from AC. That previous 210kWh Powerpack thus has more like 225kWh. And over 25 years, therefore, a solar array that costs just 50 cents per Watt to install means electricity at less than 1 cent per kWh (0.9 cents) in a place with 26 percent capacity factor. However, there are sometimes cloudy days, where solar arrays will be less effective. To counter-act that, we make the solar array about twice the size. Cost per kWh doesn’t quite double, however, as not all the balance-of-system costs double. So let’s say 1.5 cents per kWh. Batteries also need to be about double, so cost of the battery is about 4 cents per kWh total, maybe less. But total cost of electricity is thus just 5.5 cents per kWh, leaving room financing costs. Doable if financing can be kept at low costs (and the solar arrays can actually last a LOT longer, like 50-100 years… and by doubling up the batteries as we did, they can also last a lot longer). And remember, solar costs will continue to decrease, long-term (tariffs notwithstanding). 3 cents per kWh raw solar+battery costs and 5.5 cents per kWh assuming roughly doubly up number of both li-ion and photovoltaic cells. So that’s how Tesla can offer 7 cents per kWh for the Tesla semi while disconnecting from the grid and using solar power. Some years ago I did a post on using Lunar fuel to raise a sub-orbital vehicle to Earth orbit. One of the comments by sjv linked to a similar concept that had been done several years earlier but much more professionally by a far more qualified person. The recent FH flight and the more Lunar focused interest at this time makes the idea more relevant than 10 years ago when I blogged it or 14 year ago when Dr. Walthelm published his work. What makes it more relevant is the possibility of orbiting a hundred tons with one reusable F9, three hundred with one reusable FH, and both without expending an upper stage. The Blue Origin offerings won’t be far behind if the capability comes to pass. BFR payloads to the four digits. The expendable industry could be mostly extinct in a decade or so except for niche one offs. If there is any compelling reason to get tens of thousands of tons into Earth orbit, this could create an early profitable Lunar export. This is my original post. https://selenianboondocks.com/2008/11/earth-launch-with-lunar-fuel/ Comments are better than the post. If I got the link wrong, this is the post. Earth launch for heavy vehicles currently involves lifting a lot of propellant to lift a lot less vehicle to lift even less payload. One of the frequent criticisms of suborbital flight is that it only uses a small fraction of the energy required to reach orbit. While that argument has some serious validity issues, it would be nice to be able to pop up a suborbital vehicle and hand off a payload to something else that took it to orbit. Mass ratio required would drop by a factor of 5. While it would be nice, it may be a while before some magic tech makes it possible. Tethers are the frequent solution suggested for making this happen. Unfortunately current tech seems to be that your suborbital vehicle would need to be traveling at mach 15 or so to match velocities with a rotovator. While this will be a major breakthrough when it takes place, it still requires a serious performance vehicle to make the rendezvous. The suborbital vehicle for that mission will have to be fairly aggressively designed if it is a single stage. The mass ratio is about half that of an orbital vehicle with serious TPS still required. It will have to ride the tether around for a few orbits to get home, or land far enough down range that getting home is another logistics problem. As better tethers become available, these problems will slowly get better until a true beanstalk becomes possible. I’m not aware of any other feasible technologies for doing the job of an advanced rotovator. With airless aerobraking propulsion, there is a possible solution. A chunk of lunar LOX launched into a near earth reentry trajectory will be at over 11 km/sec as it makes a near approach 100 miles up. If one pound of this impacted a suborbital pop up vehicle that had no significant horizontal velocity it would deliver an impulse equivalent to an Isp of 1,100+. If that pound vaporized and rebounded at random from a heat shield, it would deliver equivalent of another Isp of 550. So each pound of lunar volatiles would have an effective ‘Isp’ of 1,650 while the suborbital vehicle is motionless earth relative. As the vehicle gathered momentum, ‘Isp’ would drop as a linear function of less impact velocity of each succeeding LLOXball. By the time the suborbital vehicle was pushed to orbit, ‘Isp’ would be down to about 460 or so. Lunar regolith aerogel was suggested for the airless aerobraking. If feasible, that would solve several problems with the concept. It works out to about 1.5 times as much LLOX as vehicle to make the push to orbit. A one ton upper stage with heat shield would need about one and one half tons of LLOX impact to push it to orbit. The size vehicle it would take to get that one ton inert upper stage into position is in dispute by the various people that build actual hardware. The old V2 would have used 4 tons of vehicle and 9 tons of propellant. There are at least a half a dozen credible newspace companies that believe they can beat that with a vehicle that flies daily or more. The list of less credible is somewhat more extensive. The list of companies that can place a ton in orbit without help is fairly long, and fairly expensive. If a firm can just match the old tech and get an upper stage boost from the moon, then a ton to orbit will be considerably cheaper than is currently possible. This is a 14 ton earth GLOW and 1.5 lunar volatiles per ton to LEO. Heavy lift is the field that would make this pay. A modern expendable design for this purpose would have a mass ratio of about 2.5 and a dry mass of less than 10%. A 3,000 ton GLOW (Saturn5 class) would get 900 tons in orbit in one shot with help from 1,350 tons of lunar volatiles in intersect trajectory. If it becomes desirable to get a lot of large payloads from the earth surface into space, this might be one path for doing it. If a suborbital craft can fly often, then it could launch large payloads once a day as it phased with the moon launched trajectory paths. It would be cheaper to use lunar raw material to facilitate earth launch than to manufacture finished components on the moon for the short term of a few decades. If SPS became economically desirable, this is a technique that could help make it possible to launch millions of tons of earth built products into orbit. One of the things I’d love to do if I were successful enough at Altius to afford it would be to sponsor graduate-level research into space technology, business, economics, and policy topics that I’m interested in. Not just because I don’t have time to dig into these topics as deeply myself as I would like, but also because frankly there are lots of graduate students out there who have better analytical tools they could bring to bear than the crude ones I could come up with informally. I decided to share some of these ideas via a blog post in the hope that maybe I could either inspire someone in grad school who is looking for a research topic, or if not I could at least plant the seed for conversation on this blog. If someone is interested in doing one of these research topics, I’d love to do a review of the final paper when it comes out. This is one that I often discuss with coblogger Chris Stelter on Twitter. There have been a lot of papers over the years looking at ISRU economics, but the vast majority, if not all of them, have made the assumption that launch costs are more or less static. I think I understand the usual reasons for doing so–either a) these papers are trying to recommend a policy change, and therefore are being compared against the status quo approaches of say government exploration missions using entirely earth-launched propellants, or b) at the time of the papers, RLVs weren’t taken very seriously, and the last thing they wanted to do was to make ISRU look less respectable by making it look like it depended on RLVs. But now is probably a good time to start looking into what lunar ISRU economics look like if you assume RLVs can be successful in driving down launch costs in the foreseeable future. I’ve seen a lot of SpaceX fans recently who have made the argument that lunar or NEO ISRU is totally irrelevant because BFR costs are guaranteed to be so cheap that there’s no way lunar ISRU could possibly compete with it. I think this is… mildly overoptimistic, but one result of lunar ISRU studies that assume status quo earth-to-orbit launch costs (both for launching ISRU infrastructure, and as competition) is that the lunar ISRU price points they quote really do seem kind of high compared to potential RLV price points. I personally don’t think lunar ISRU is in as much trouble as all that, but I do think that since it is more likely that we’re at the dawn of the age of the RLV, that those interested in lunar ISRU economics should at least start looking as RLVs become available. Launch costs are going to vary over time–even if gas and go RLVs happen in the foreseeable future, it’ll still take time to get there. So instead of treating launch costs as static, make a few scenarios where you make different assumptions about the shape of the launch cost vs. time “S-Curve”. How long does it take for significant reductions in $/kg to start appearing? How low can they realistically get before hitting diminishing returns? How steep is the slope of $/kg over time once that initial decrease starts creating new demand that creates virtuous cycles? The nice thing is that you can probably characterize these S-Curves with only a few parameters, and then you can come up with say at least three scenarios–a pessimistic one where RLVs are only mildly successful, and launch costs decrease slowly, hitting diminishing returns at a moderate price point, an optimistic one, where RLVs are very successful, and the transition is fast, with the point of diminishing returns being dramatically lower than current prices, and then a middle of the road S-Curve shape. Assume that lunar ISRU developers are smart enough to leverage RLVs as they become available, so that launch of ISRU hardware can take advantage of the decreasing costs over time. For example–George Sowers was mentioning a recent CO School of Mines analysis that showed it was possible to extract water from the lunar poles for $500/kg of extracted water on the lunar surface. But he was assume a $35,000/kg delivery cost to the lunar surface for all the infrastructure. It would be interesting to see analyses that reflect the idea that lunar ISRU developers might be able to leverage decreasing launch costs to also lower the exploration and development costs of their lunar ISRU capabilities. It would be good to include scenarios for how hard lunar ISRU ends up being, ranging from scenarios where trying to crack oxygen out of the regolith is the best we can do, through lunar polar ice being legit, all the way through Warren Platts’ lunar aquifers scenario. My guess is that this could also be modeled by some sort of S-Curve as well, as there’s going to be a learning curve for developing lunar mining, that eventually snowballs, but then hits diminishing returns, but the timing, depth, and steepness of the curve could vary. It would be cool to see analyses that assume different cislunar transportation architectures for getting lunar ISRU propellants back to LEO. Not just rocket only, but also architectures that use propellantless launch options (see my unfinished “Slings and Arrows” series), aerocapture, SEP transfer, nodes at different cislunar orbital locations (LEO, EML1/2, LLO, etc). It would be interesting to see with these analyses where the equillibrium point ends up being for lunar ISRU vs RLV-earth-launched propellants under different assumptions. I could see some cases (optimistic RLVs, pessimistic lunar resource difficulty, lame approaches to cislunar transportation) where lunar ISRU isn’t even competitive on the lunar surface, while there may be other scenarios, where lunar ISRU wins hands down even in LEO. But it would be interesting to see patterns and what assumptions lead to which outcomes. Anyhow, I just wanted to seed the thought. I’ll probably turn this into a series for other research topics I’d like to see others write, but I wanted to throw this one out there. Seeing the picture of the SpaceX shroud floating in the water, it struck me how much it resembled the bottom half of certain lifting bodies. Then it struck me that this thought had been around before, whether it had been a passing thought, or a hint of memory of a past conversation. My current thought is that the shroud inflates an upper body after separation and deploys a couple of vertical tails. Very fluffy flying reentry for a controlled glide to recovery. It seems possible that a very light propulsion unit of about 100-200 hp could extend the glide to an RTLS. Or possibly a aerial tow RTLS. Does anyone know if this is a new (if not unique) thought or just a forgotten memory of a previous discussion? More Reasonable Size (Though Still Probably Too Big): I liked that Elon shrunk the size of BFR to something slightly less insane than ITS (a 50% drop from 300mT to 150mT). I still think he’s going way too big for any realistic markets near or medium term markets, but it’s a step in the right direction. I’m not convinced you need anything bigger than ~30-40mT to LEO to do Mars exploration and settlement, and you definitely don’t need anything that big to service near-term and future markets. Replacing Falcon 9, Falcon Heavy and Dragon with BFR/BFS: This was actually my favorite part of the plan in theory. In theory replacing the semi-expendable Falcon 9 and Falcon Heavy with a fully-reusable, and in-space refuelable launch vehicle would be a great idea. Especially one that was a single-stick, not crazy high aspect-ratio vehicle. And once you have that, and have the upper stage reliability up high enough, having an integral crew/passenger capability without needing a separate capsule could be a really powerful combination. Getting to high flight rate reusability is far more important for affordable deep space transport than getting to gargantuan rocket size. Something more modestly sized (say in the 30-40mT fully reusable range) would’ve been a much smaller leap, and I think would’ve much better taken advantage of the best part of Elon’s updated plan. BFR Leaves Open Room for Competition:At 150mT, BFR would be flying mostly empty on most flights for the foreseeable future. It would only really replace Falcon 9, Falcon Heavy, and Dragon if nobody else succeeds at doing a fully-reusable vehicle in a more sane scale. While it may be possible that a BFR sized fully-reusable launch vehicle might have much lower $/kg when flying completely full than a smaller sized fully-reusable vehicle using similar design architecture and technology choices, if BFR is flying mostly empty for most realistic near-term missions (satellite launch, ISS crew/cargo, etc), the actual cost to fly a realistic payload will probably be cheaper on a more right-sized vehicle. Personally, I think there’s a huge potential here for someone who wants to make a 1-10mT to LEO full RLV. While the $/kg might not be as good as a fully-loaded BFR or fully-reusable New Glenn/New Armstrong, the $/mission for most realistic near-term missions would likely be lower. I really hope someone else is able to raise money and execute on a small to medium RLV, I really don’t want to have to go back to launch vehicles for my next startup. Skeptical about Suborbital Point to Point: If you project BFR economics out to the point where it really hits some low multiple of the propellant costs, it theoretically could be competitive for some long-range travel. I just have a hard time seeing a rocket-based system with that high of performance and that razor thin of margins ever getting within spitting distance of the reliability of jet aircraft, especially within the foreseeable future. There are just so many technical and non-technical challenges for this market to make sense, and I think a lot of them are exacerbated by how big BFR is. What About Space Tourism? While I’m really skeptical about how realistic the suborbital point-to-point market for BFR, I’m kind of surprised Elon didn’t propose space tourism as a market. After all, if BFR can really keep 100+ people comfortable for a 6+ month Mars mission, you’d think they could easily handle 100 people for a 1-2 week stay in LEO. Even without space hotels as a destination, if he can really get down to a $200k/person Mars ticket using 5 launches, he should be able to get down to a $40k/person ticket for a two week space trip. If he was going to a space hotel and could pack people in as tightly as they were suggesting for BFR point-to-point suborbital flights, he could probably get the price for a LEO vacation down below $10k. While there are legitimate questions about how much market there is for space tourism at $20M+ per seat, is there really any doubt that there’d be a market for space tourism if it really cost only $10-20k per person for a 1-2 week LEO cruise? Those were the five things that hit me the most. While I think BFR is an improvement over the original ITS plan, I think it still leaves a big opening for a serious competitor that didn’t feel the need to get into rocket size competitions with Elon and Jeff2. Over on Transterrestrial, there was a discussion about self driving cars eliminating traffic jams. The site doesn’t allow comments from my computer calling it through a proxy, so I’ll just throw out a few thoughts here. The discussion focused mostly on cars accelerating from a red light and the amount of time saved when/if they all accelerated together as soon as the light turned green. Some felt that a lot of time would be saved, and some felt that the computer would have to wait for a safe braking distance just as with a human driver with the only savings being a few seconds here and there. I saw no discussion of timing the lights that some of us do a bit of already. You see a red light in the middle distance and slow enough that it should turn green by the time you get there. So you might be driving 20 mph in a 30 mph zone by the time you reach the now green light. However, you are doing 20 mph through the light when the hurry up and stop drivers are still accelerating from zero. If done right, it is a faster and smoother trip using less fuel and much less wear and tear on the drive train and brakes. By missing this possibility, many people will be in the same position as the composite people that treat their product as black aluminum and fail to get the potential performance gains possible. With self driving cars it seems likely that the car will know when the light is going to turn green, and if cars coming the other way are likely to do something stupid. It will also be plugged into the local traffic management systems so as to know the speed the lights are timed for. Many places have had their lights set up in such a way as to allow drivers to hit continuous green lights as long as they maintain some exact speed. With self driving cars interacting with each other there will also have to be early fault detection systems such that cars with problems can be allowed for and given room to recover, pull over, or get out of the way so that the rest can maintain a steady flow. Follow distance with fault detection could be drafting close even at highway speeds. So my thought is that a mature system of self driving and interacting cars interfaced with traffic control systems will have a flow pattern occasionally glimpsed but seldom maintained. Cars in city traffic will cluster at a speed that allows them to all get through the green light without stopping at all. I timed a light today that had a minute of green. allowing 2 seconds of margin on each end would give 56 seconds of full flow under the control systems I think likely. 56 seconds of cars with a 30 foot spacing center to center at 30 mph would put over 80 cars per lane through one green light, theoretically of course. That is at least 4 times the number I normally see get through per light change. I think the focus on red lights missed the possibilities of the green lights. I think many of us are going to get blind sided by, not the technology itself, but the way it changes the way we operate. I tend to believe this extends to space far more than we would like to admit. Most if not all people disagreed with my thoughts on bringing in various technologies in the last few posts about the architecture Doug Plata is laying out at spacedevelopment.org. On many blogs, and especially with many of the commenters on those blogs, I could dismiss their concerns almost out of hand and be right most of the time. On this blog, and with the known high quality of the majority of the commenters disagreeing with me, there is necessarily something else going on. Obviously I could be wrong with them pointing it out. Or there could be misunderstanding as I am not a professional writer that is crystal clear in laying out my ideas. There is another possibility that came up in the email exchanges with Doug. How many of the disagreements spring from variations in the ideological base of the individuals involved. Life experiences and historical knowledge of space development does not resolve our differences. It can explain some of them so that we can move forward in developing ideas and eventually hardware. Our viewpoints on space development could be viewed in the way a river develops. Most rivers in the eastern US grow on their way to the ocean. Rivulets, and creeks, and canals, other rivers, and lakes feed them up as they flow such that the river at the ocean is huge compared to its’ humble origins. In the southwestern US, some rivers have some of their vitality tapped off in so many places that the flow at the ocean is a fraction of the size of some upstream locations. Cities and farms and dams can reduce it to nothing in some cases. There are lawsuits about upstream usage before downstream availability. Some of the discussion about space development mirrors river development. The question being if a given technology or suggestion is a tributary making the river bigger and stronger. Or is it a city or irrigation system draining the vital juices preventing the full flow to the destination. Much of spaceflight history is that of pet projects and congressional set asides draining the river en route such that the salt water flows upstream into the delta regions poisoning the freshwater plants that depend on the river. SLS is the current flagship for that view with the funds going to it and its’ precursors being more than sufficient for real progress if it had been properly focused. SLS could be seen as a city in the desert that built a dam that keeps the water from flowing to the downstream drought. The various ideas I throw out could be tributaries or dams depending on the ideological approach involved. If funds are diverted from the main goals for endless toy development, potential dam. If they must fund their own way to the river, potential tributary. Whether or not the technology of a concept will work is important. Where the funding comes from, and which strings are pulled to get it is critical. So in the recent discussions, who is right? There are a lot of variables that could make it either, both, or neither. Doug Plata has done some detailed comments on the suggestions, ideas, and differences from his ideas that my posts laid out in minimal form. His comments deserve better than I can do in a little comment window. Probably better than I can do in a post, but I won’t admit that part in public. It is my opinion that these technologies would speed up Lunar development, expand the possible scope of operations, and cut the cost in the process. They do carry risk though, which is Dougs’ objection, along with getting permission to use them in the first place. I did a post on my views on the Lunar hoverslam landings. This one is how I see the depot and rotovator getting underway. I think initial proof of concepts and bringing the TRL up to snuff should be done on company internal resources without fighting the Federal funding battles. The only real reason depots are not in use now is that there is no real demand for them. A comment on one post noted that propellant in orbit was as valuable as dirt. A bitingly true statement as long as there are limited missions beyond LEO, and few satellites share orbits that would make depots useful. A constant flow of material to and from Lunar orbit changes the situation with many vehicles taking the same path. I see the initial depot flights as secondary payload technology demonstrators. Often flights to LEO are at less than payload capacity of the launcher. Either the upper stage carries a small second spacecraft, or it makes a rendezvous with another vehicle. The upper stage docks(berths?) with another vehicle and transfers propellant to it. They separate for a while and then hook up and transfer propellant back. Operating as a secondary payload on a stage that is expendable anyway should have the possibility of being a fairly economical mission. This would give a chance to solve propellant settling and transfer in (off?) the real world. Several missions could be flown for relatively low operating costs until the company is comfortable with the transfer techniques and has the boil off data for a few configurations. Then start flying more ambitious missions that do need some help until it is an accepted practice. There is too much information out there on depots to justify me going long on the subject. Rotovators are far more risky. The payoff is also very high. The Lunar rotovator alone would offer major savings to a serious development operation. The ability to return material from the Lunar surface to an Earth bound trajectory without propellant, engines, or tanks would make it attractive even without the ability to intercept cargos from Earth for a soft landing without fuel. The TRL is very low for tethers of any kind in space with rotovators having no test data at all. I suggest the rotovator demonstration unit be a secondary payload with the minimum mass that can demonstrate the principles. This mission would be the rotovator itself, whatever auxiliary equipment is needed to make it work, and a bunch of expendable small spacecraft with the only function being thrown and caught. The rotovator is lightly spun up when orbit is reached testing deployment and system dynamics. The initial target velocity is that which brings the tip thrown vehicles to a 15 orbit per day instead of 16 of the base vehicle. This brings the small vehicle back to rendezvous in one day if all the calculations and results work out. It is to be expected that most of the little test spacecraft will be missed and lost early on. Perigee would be kept low enough that missed ships would reenter in a matter of days to avoid creating more orbital debris. It would be a risk that there would not be enough of the little ships to establish success and possibly no captures at all on the first rotovator mission. Further rotovators would be sent out as secondaries until accurate slinging and reliable captures were expected instead of experimental. After initial proficiency is reached at the 15/16 orbits, velocities are increased to 14/16 and 13/16 until the 1,600 m/s target is reached that would validate a Lunar rotovator. 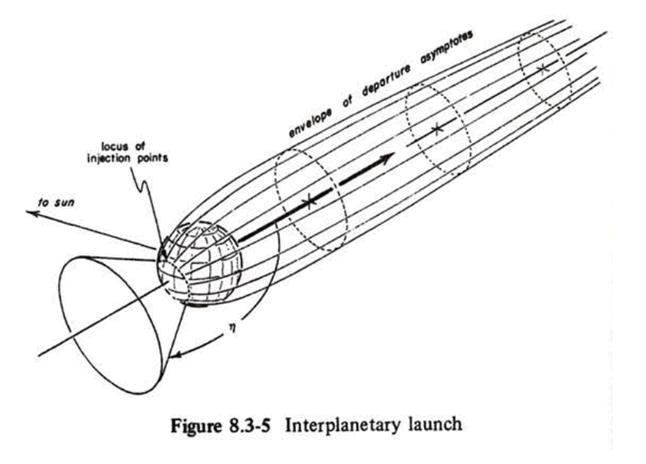 Then one is sent to Lunar orbit as a working system. If the 1,600 /s units were successful enough in Earth orbit some would remain to pick up suborbital ships to sling them most of the way to GTO or TLI with the rockets relighting after the rotovator boost. I suggested in the middle of a couple of recent posts that the hoverslam techniques pioneered by SpaceX with the Falcon9 be used for Lunar landings. It was a kind of throwaway thought along with several other suggestions. As I think about it though, it seems to me that there might be a serious possible schedule and reliability gain from adapting the technique to Lunar development. That’s why I’m putting it up as a separate post. I didn’t think hoverslam was a viable technique until it had been demonstrated. I was wrong. Now that it has been demonstrated multiple times, it may be time to see if there are more applications in which it might give an advantage. Lunar landings being the application under discussion recently, I want to lay out a few possibilities. First thing would be a discussion with the team that is already using the technique in operational vehicles. From the outside looking in, it appears that hoverslam is a software solution to landings that was previously considered a hardware development problem. If this thought is accurate, then it may not be necessary to develop engines and control systems that allow an empty tank vehicle to hover in 1/6 gee. It seems that it is a requirement to bring velocity to zero at the instant that altitude is zero with thrust/weight being far less relevant than most of us previously thought possible. It seems that the SpaceX team is landing with thrust/weight levels of well over two on Earth, which would be well over a dozen at the Lunar surface. If a Lunar lander is at 20 tons at touchdown, then the hovering that most of us consider a requirement would need engines capable of throttling to 3 tons for a gentle descent at very low velocities. The experience of Apollo 11 finding a clear landing area validates this opinion. This is however, not 1969. The Lunar surface is not only far better known now, but any potential landing sites could be imaged to near centimeter precision at relatively low cost. So hovering while making sure of a clear landing zone may not be a requirement. Navigation to the clear areas is also much less of a challenge than a half century ago. So it may be possible to go straight in to a site on near side without even orbiting first. It may be possible to land that 20 ton vehicle with engines that will only throttle down to 50 or 60 tons. Doug believes that getting funding authorities to sign off on Lunar hoverslam would be a nonstarter. He is right unless the technique is fully validated just as it was on Earth/barge. I suggest the first step would be an RFI to SpaceX to confirm that it would or would not be possible to use the technique in this manner. If the answer is affirmative, then a test mission could be envisioned. For a test mission, perhaps an upper stage of the Falcon9 could be refueled by a Facon9 tanker in Earth orbit to validate tanker technology as well before sending it on to the Lunar surface. The Falcon9 upper stage with one refueling should be able to place well over 5 tons on the Lunar surface during the test mission if the concept is valid. Depending on the flight backlog and the interest of both NASA and SpaceX, this could fly by Q4 2018. I doubt any other system could land a comparable payload in anything close to that time frame regardless of interest. Cost would be for two Falcon9s plus payload and Lunar operations. 5 tons in useable condition on the Lunar surface would go a long way towards convincing a funding authority to further use the technique for unmanned payloads. Central to acceptance of the concept would be the failure modes. Obviously a high enough speed impact would destroy the stage and cargo. Hitting a rock with a landing leg and tipping over could be almost eliminated with a good survey and navigation. A sideways vector on landing that tipped the stage over should not be a factor with the current experience level. The most likely failure modes would seem to be engine failure at altitude from fuel depletion, and excess velocity at touchdown from software or navigation error. Payloads on the first flight(s) should be very robust as well as being useful so that good work can be done even with a less than successful landing. During an excessive velocity landing, the stage propellant tanks provide a crumple zone if done right. An impact at 100 m/s (200 mph) in the vertical orientation could subject the payload to under 10 gees which is survivable to most hardware. It should be expected that the first payload may have to cut its’ way out of the wreckage before deploying solar panels and starting the primary mission. If the stage soft lands but with a side component that tips it over in the 1/6 gee, the payload should also see less than 10 gees. The spectacular failures we saw from the early Falcon9 barging attempts were almost all from residual propellant exploding. Though technically not detonations, the burns were fast enough that most of us would call it a good boom. The vertical and horizontal vectors on most of the early Falcon9 barging attempts would have been payload survivable without the propellant reactions on impact. In the vacuum at the Lunar surface there would be no reaction from residual propellants in a crash other than fast evaporation and site contamination. All of those spectacular RUDs on the barge would have been stage lost and payload delivered on the Lunar surface. I suggest that this concept be considered at some low level to see if there is any merit to it. If there is, it could speed up Lunar development by several years and save a few Dirksens.